How to avoid being a permissive parent. 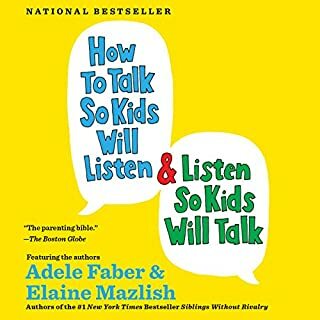 How to listen so kids will talk to you and talk so kids will listen to you. How to teach your children to "own" their problems and to solve them. How to use the "No-Lose" method to resolve conflicts. Using the timeless methods of P.E.T. will have immediate results: less fighting, fewer tantrums and lies, no need for punishment. Whether you have a toddler striking out for independence or a teenager who has already started rebelling, you'll find P.E.T. 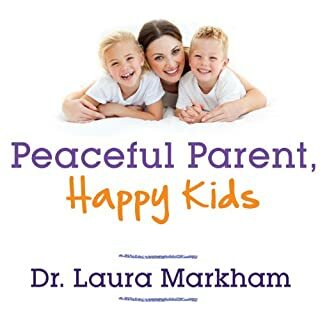 a compassionate, effective way to instill responsibility and create a nurturing family environment in which your children will thrive. 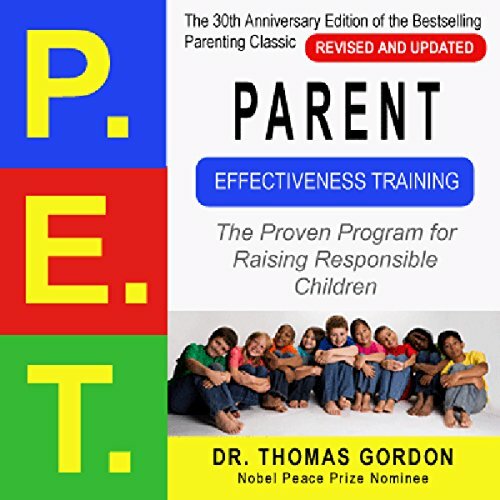 What did you love best about Parent Effectiveness Training (P.E.T.)? I really liked this book and found it helpful. I have a complaint though. The author does a really excellent job explaining the concepts, but doesn't explain how to implement them as well as I needed him to (more examples would have helped). The book feels at a number of points like an advertisement for PET videos (no longer available) or courses which, perhaps, provide the missing implementation details. 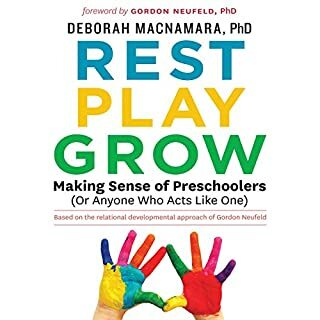 I still highly recommend this book, but you may want to read other similar books to get a handle on implementing the ideas. 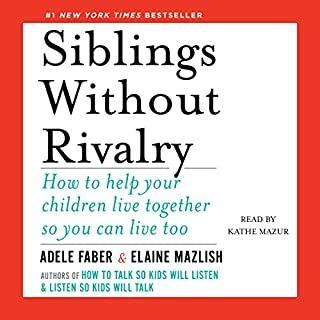 If you're only going to read one parenting book, you'll probably do better with How to Talk So Kids Will Listen and Listen So Kids Will Talk". 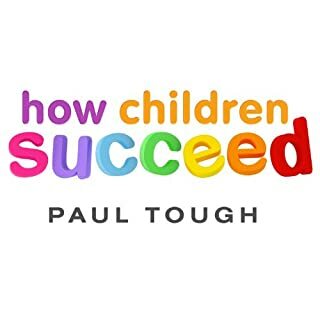 What other book might you compare Parent Effectiveness Training (P.E.T.) to and why? 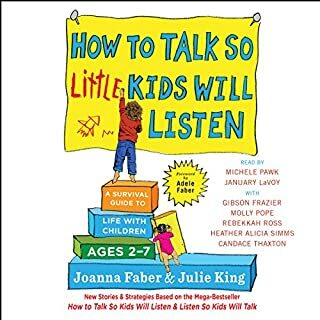 How to Talk So Kids Will Listen and Listen So Kids Will Talk has some similar ideas perhaps not as well explained but with implementation explained better. I think PET has some very good concepts and explanations that won't be found in HTTSKWLALSKWT, though. Read both. What made the experience of listening to Parent Effectiveness Training (P.E.T.) the most enjoyable? This was the best perspective on interpersonal communication and active listening that I've heard. The fact that I tried the techniques and they actually work. The active listening worked with my Son (11), my Daughter (16), my wife, Brother, Sister-in-law.... This really works! The roadblocks to active listening and communication. This book helped change the way I look at raising my child. We have given up power struggles and have a happy, laughter-filled house. It's not always easy, but it is simple. Rather than set up winners (and thereby losers) to conflicts, learn to work together to solve problems so that everybody 'wins'. I highly recommend it. Very helpful! I couuld relate to a lot of the material discussed and it was easy to put into use. My children like the new way I listen and I like the feeback the chidren give me. 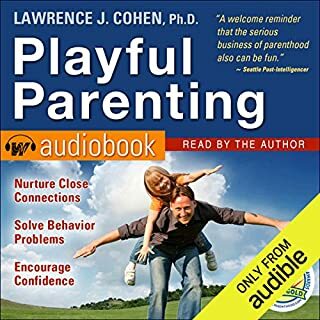 My husband has began to listen to it and I can see how he tries the new concepts and has avoided the arguments by applying the new listening skills. Great information, although I wished there was an abridged version. (Sidenote: generally, I dislike abridged books). But there is a lot of information here that could have been presented in a more straightforward manner. I like the ideas that are presented and the principles that are presented in this book. But the focus seems to be so much on all of the horrible effects on your children if you mess up and do what you are not "supposed " to do. There needs to be many more good examples and positive ideas and a positive focus for this book to be better. 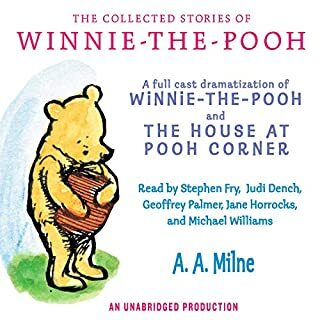 The whole tone of the book just seems way too negative and catastrophic if you mess up how you talk to your children. The information in the first 5 hours (80%) of this book is good and helpful. More than likely it is this portion of the book most people will find useful and the book is worth buying for this content. 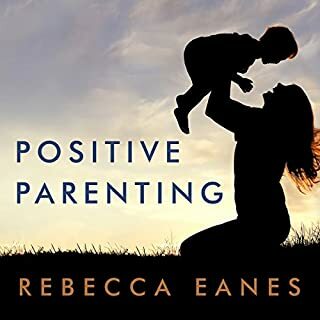 Where the book becomes less helpful is when the author says that he thinks some kids should run away from their parents explaining that some parents are so terrible as to leave their kids no other alternative for a fruitful life. Most people would agree that abandoning your family is drastic, yet the author throws it out there almost casually and does very little to defend it. From this section it is all downhill. There are some contradictions exposed that I would have expected the author/editor to clear up. 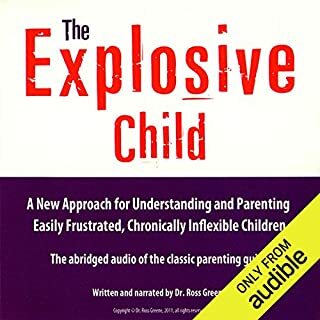 The biggest of which is that the author complains that parents who have rigid notions of correct behavior and conduct often harm their kids, yet the author expresses some rigid notions of correct behavior himself and essentially says that if parents don't use his method (specifically the no-lose conflict resolution) their kids will be irrevocably harmed. This seems like an extreme position. There are no other viable approaches? It appears the author has different standards for methods other than his own. The author also rails on public schools and their authoritarian/militaristic approach to managing kids. I mostly agree with that assessment but what I find puzzling about it is that public school districts have been staffed with psychologists who are involved at all levels of decision making in the school administrative hierarchy. Isn't this representation of psychologists in the schools what he is advocating? Perhaps he is complaining about the effectiveness of this approach and has mislabeled it? If you consider buying this book I would highly encourage you to also buy Meg Meeker's books to serve as a counter weight. PET does not make many distinctions between boys and girls where Meg Meeker has books specifically addressing the unique needs of boys and girls separately. Meg Meeker can provide you with a wider and richer picture of the general and specific needs of boys and girls where PET is essentially a unisex, tactical training manual for parents. 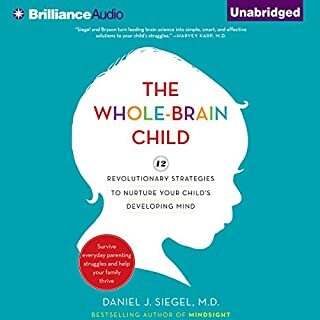 Overall I would encourage parents to read this book but would prepare them for the less helpful and possibly unwanted section at the end of the book. Very informative and easy to follow with great examples. I have 3 kids under 4 yrs and was just as relative to them as I'm sure to older kids.